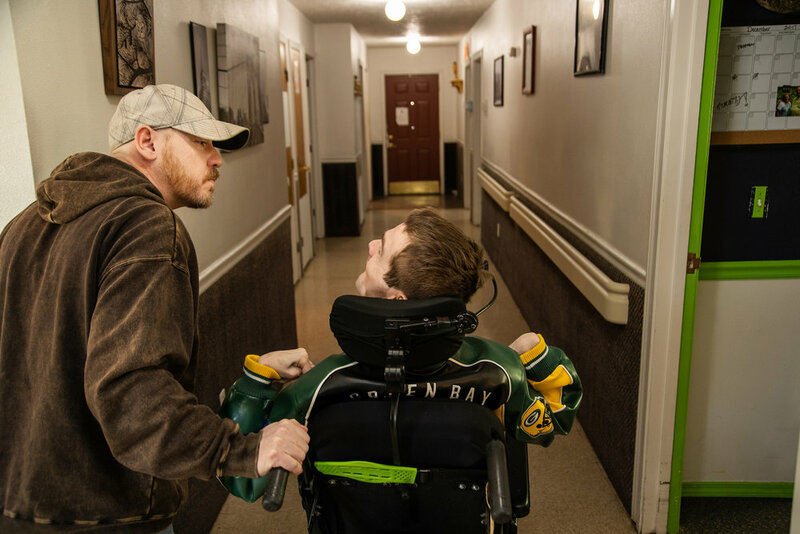 For decades The Arc has worked to promote community living as an alternative to institutionalization for adults with developmental disabilities. The Supported Living program is The Arc's community living program, and serves about 50 adult men and women with developmental disabilities who live as housemates in homes they own, lease or rent together. With the freedom to work, socialize and recreate as they wish, Supported Living clients can enjoy the best that life has to offer; a comfortable home, full access to the community and caring staff who are fully qualified to meet their health and personal care needs. Individuals who qualify for the Washington State Developmental Disabilities Administration (DDA) Core waiver, are eligible to participate in The Arc of Spokane's Supported Living program. Candidates must have a Core III waiver from the Washington Developmental Disabilities Administration (DDA) and a referral from their DDA case manager. Contact DDA for more information at (509) 329-2900 or TTY (509) 568-3038. To learn more about The Arc's Supported Living program, contact Lynnette Richardson at (509) 328-6326 or lrichardson@arc-spokane.org.